Photo/Art Journal documenting my visit to Provence in 2014 to attend a painting workshop in the tiny hamlet of Les Bassacs. My journey begins and ends in Marseille. Join me on my three week adventure through my journal entries, sketches, paintings and photographs of the beautiful mountains of the Luberon and the Vaucluse. My annual journey to France began in 2014 when I attended Susan Abbott's painting workshop in Les Bassacs, Provence, France. 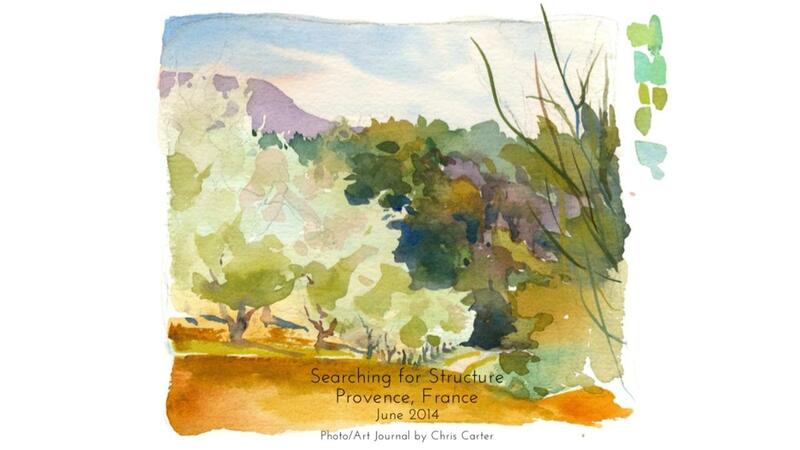 Searching for Structure is book that combines three weeks of journal entries, sketches, painting and photographs documenting that first incredible visit to France. Enjoy!